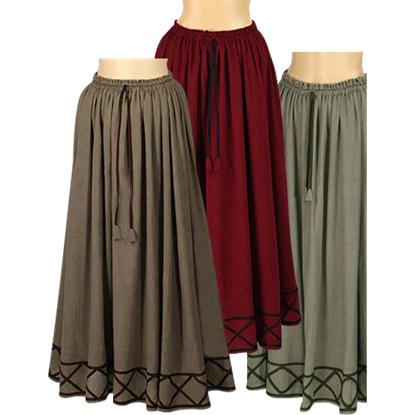 If your historical or fantasy persona is feminine in nature, you ought to have the Essential Medieval Skirt in you repertoire. 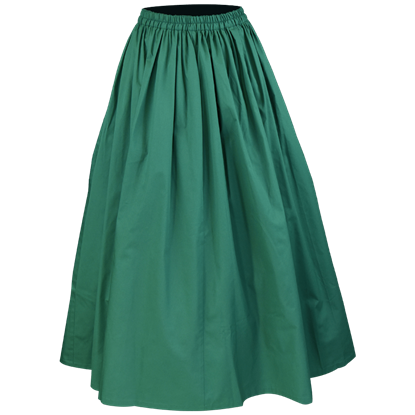 Easy to wear on its own or layered with other skirts and petticoats, this batiste skirt is a must-have! The Farmer's Skirt with Shawl is an excellent two-piece combination that goes a long way to creating a simple medieval or renaissance look. This skirt and shawl can be used to create dozens of looks, both simple and ornate. For a elegant look, consider the Lady's Country Maiden Skirt. This garment is an excellent skirt for assembling a wide range of medieval looks, from noble to plain. 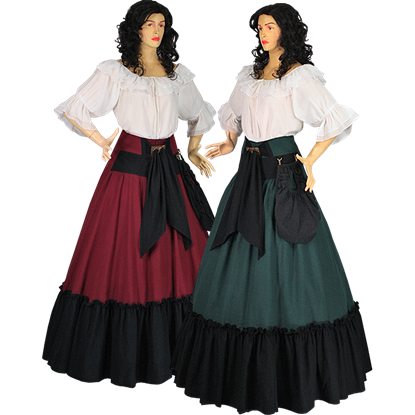 This garment is an excellent skirt for assembling a range of looks, from noble to serf. 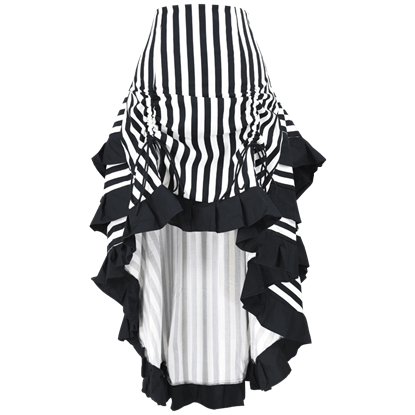 Earn your stripes and wear them too when you add the Layered Black and White Striped Steampunk Skirt to your alternative fashion wardrobe! 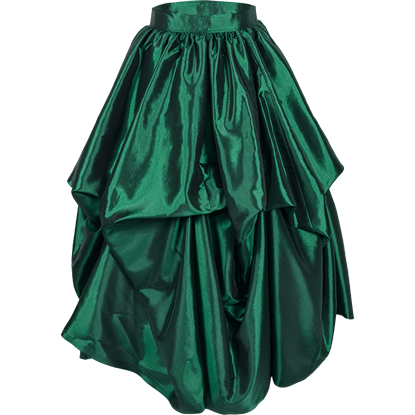 This high waisted skirt has adjustable drawstrings on its front for a dramatic high low look. 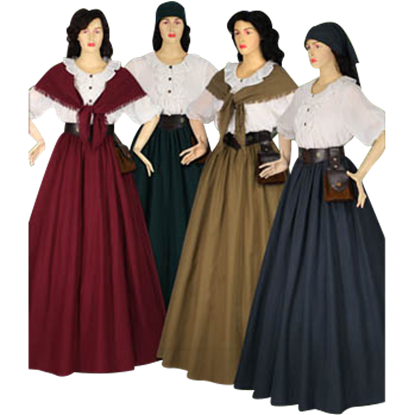 In keeping with a simpler style, the Medieval Skirt with Pouch is a garment that is perfect for any medieval woman who doesn't count herself as royalty, the skirt is functional, yet still retains a fair amount of feminine elegance and beauty. 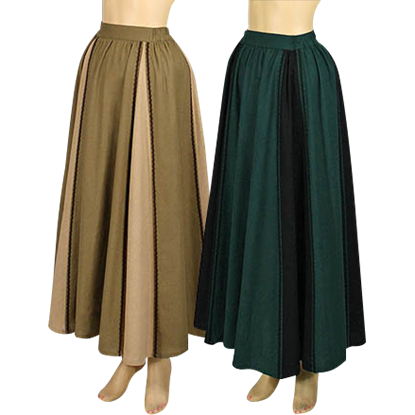 The Saxon Skirt is a simple skirt, one suited for a wide variety of uses. There is no best use because it can fill a variety of needs. It is a perfect skirt for a female serf or for female nobility. It all depends on your need.